Home/Calgary Oktoberfest/Edmonton Oktoberfest/Uncategorised/5 Tips to Help You Be An Oktoberfest Meister! 5 Tips to Help You Be An Oktoberfest Meister! With Edmonton Oktoberfest happening Saturday, September 29th, and Calgary Oktoberfest happening Saturday, October 6th – ABF wanted to pass along some tips to help you be the Oktoberfest Meister you always knew you could be! If you’ve ever traveled, you already know the importance of either staying with, or at the very least, learning about things from a local. Locals know the great spots to eat, the fastest way to get around, and the best ways to have a good time. Attending an event is a lot like travelling. 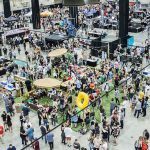 Yes, you’re almost definitely going to have fun, but having the inside scoop will help you get the most out of your experience. 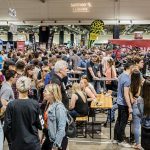 With that in mind, Alberta Beer Festivals has put together 5 tips that will help you maximize your flugelhorn-infused pleasure at this year’s Edmonton & Calgary Oktoberfests! Tip #1 – Impress Your Friends By Knowing the History! King Ludwig I of Bavaria is by far our favorite 19th century Bavarian royalty, though you have to admire the ‘staches on Otto Von Bismarck and Wilhelm I. If these other guys have such great facial hair, then why, you ask, is our favorite King Ludwig I? It’s because he’s the one we have to thank for the world-wide celebration known as Oktoberfest! It all began when King Ludwig I was married to Princess Therese of Saxony-Hildburghausen on 12th October, 1810. To celebrate not only their marriage, but also Princess Therese no longer wasting 6 minutes every time she had to write out her last name, the then Prince Ludwig invited the people of Munich to the festivities on the fields in front of the city gates. The initial intent was for people to focus on horse races, but as with all good stories, this one has a happy ending. Because so much beer was consumed, that became the new focus of the now over 200 year-old event! Tip #2 – Know The Songs & Traditions for More Oktoberfun! (Cheer!) 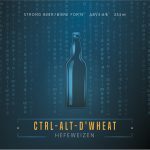 Eins, zwei, drei g’suffa! Tip #3 – Be There to Win! 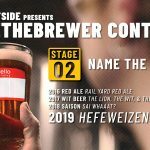 Alberta Beer Festivals and Craft Beer Market are giving away a trip to the Toronto Oktoberfest – including flight, hotel, and a GC to the Craft Beer Market there! The only catch is that you have to be at Oktoberfest to win! On top of that, there will be prizes for the best dressed Oktoberfesters! 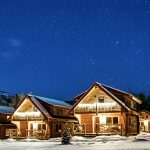 Tip #4 – Get There Early! You’ll want to be in the thick of things to get the full Oktoberfest experience – and getting there early is the perfect way to do that! From watching the cask tapping, to being in the middle of the crowd to sing your new favorite Oktoberfest song, the sooner you get there, the sooner you can get the lay of the land and find yourself the perfect spot for a night of crazy German fun! Even better, you can reserve your table so it is ready and waiting for you when you arrive. 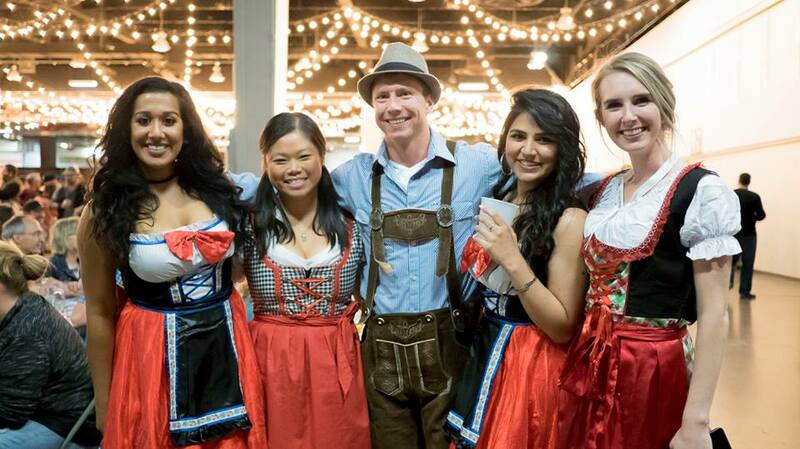 Calgary Oktoberfest – For reservations, please email 10thaveevents@craftbeermarket.ca to secure your table! Tip #5 – Know All the Important Details! $10 (plus taxes & fees) – Includes 0.5L of Erdinger Weisse, Dunkel or Oktoberfest and you get to keep the mug too! Oktoberfest feature food menu will be available and an Okoberfest feature 6-Pack Sampler! For more information, email me at brobinson@albertabeerfestivals.com. Thanks and see you at Oktoberfest!